Searching for Kansas City’s best outdoor art is one of the joys of my weekends. 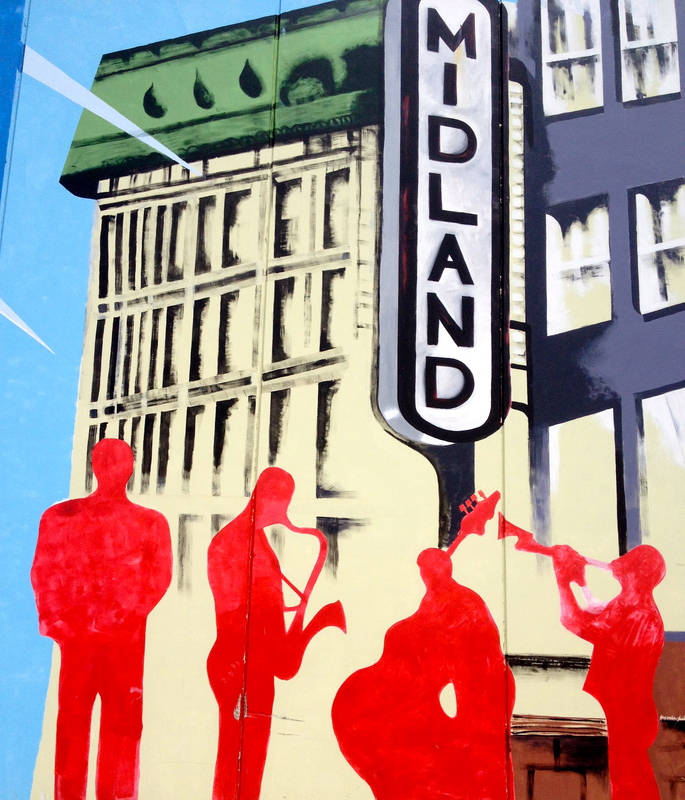 This mural in Kansas City Mid-town features the Midland Theater. Located at 1228 Main, it is a celebrated historic building that has, through the years, offered a venue for motion pictures, plays, events and, best of all, many local and national jazz legends. This entry was posted in Community, Photography and tagged Jazz, kansas city, Midland Theater, murals, outdoor art. Bookmark the permalink. More smiles. I will look for this one this weekend.